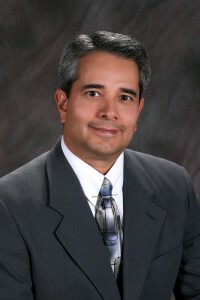 Dr. Thomas Paz was born in Las Cruces New Mexico and, except for his time away at school, he has been a lifelong resident. He and his wife Janet have two daughters named Kristen and Kiana. He is the youngest of seven children born to Dr. Raymond M. Paz and Mrs. Carrie Paz. Dr. Paz loves parenting and enjoys golfing and fishing. Dr. Paz proudly took over his father’s optometric practice in 1988. Over the years he has been fortunate to expand and develop Looks with the help of numerous key people, a tremendous staff and the Las Cruces community. He enjoys his profession and has had the pleasure of serving on the New Mexico Optometry Board for seven years and various board positions in the New Mexico Optometric Association. Dr. Paz has been active in numerous community organizations over the years and looks forward to his future service. Looks always welcomes new patients and Dr. Paz hopes to continue providing care to the Southern New Mexico community for years to come.